MVP Media, an innovative HD Video Production company based in Fresno, California, produces corporate video and advertising for Prison Fellowship's Angel Tree Football Clinic at Stanford University and Operation Starting Line events. Prison Fellowship makes a huge impact in the lives of prisoners and their families. We are privileged to tell their stories and expand their reach." - Matt Martin, owner of MVP Media. MVP Media, a video production company based in Fresno, California, created corporate video and advertising for Prison Fellowship's Angel Tree Football Clinic and Operation Starting Line events. 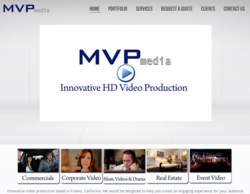 MVP Media relocated from the San Francisco Bay Area to Fresno in the summer of 2011 and creates commercials, corporate video, real estate video, event video, music videos, and narrative films. Prison Fellowship's mission is to seek the transformation of prisoners and their reconciliation to God, family, and community through the power and truth of Jesus Christ. "Prison Fellowship makes a huge impact in the lives of prisoners and their families," said Matt Martin, the owner of MVP Media. "We are privileged to tell their stories and expand their reach." The video about Prison Fellowship's Angel Tree Football Clinic, held at Stanford University, features shots of of downtown Fresno, interview footage with community leaders, and footage of NFL greats and Stanford football alumni such as Ronnie Lott, Eric Wright, and Keena Turner coaching at-risk youth at the clinic. Brian King, CEO of Fresno Street Saints and 2009 California Peace Prize Award Honoree, appears in the video and describes the impact that the football clinic has had on the lives of over one hundred at-risk youth from Fresno who have attended. "It was a life changing experience," said King. "If it wasn't for this camp, these kids would never have an opportunity to see these type of men, these type of role models. We're excited about the victories and stories that come out... for every one of our kids that go there, it's a victory." The 2012 Angel Tree Football Clinic at Stanford University will take place in late August. Stanford Football Director of Operations Matt Doyle and Football Coach David Shaw have been instrumental in partnering with Prison Fellowship's Joe Avila and William Anderson to make the football clinic possible. As Prison Fellowship has shared the video and stories that have come from the football clinic several other NCAA Division I-A colleges have sought to partner and host football clinics for at-risk youth in their local communities. MVP Media also created promotional videos and print advertising for Prison Fellowship and The Luis Palau Festival's upcoming Operation Starting Line event, which will take place in several Sacramento area prisons this June. The video will be shown on the closed circuit television networks of the prisons to let prisoners know about the event, which will feature musicians Dann Rogers and Tim Kepler, BMX legend Vic Murphy, comedian Gilbert Esquivel, and speaker Andrew Palau. 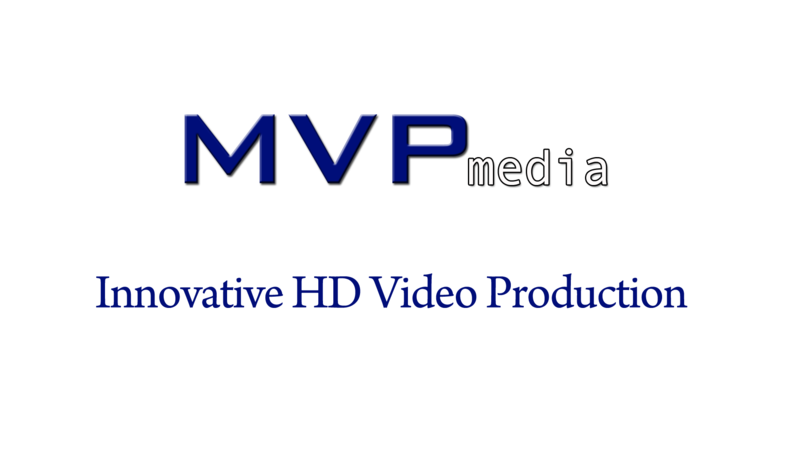 MVP Media is an innovative HD video production company that specializes in creating commercials, corporate video, narrative films, event video, real estate video, and music videos. MVP Media is based in Fresno, California and provides video production and editing, director of photography, motion graphics, visual effects, and videography services throughout the Central Valley, Los Angeles, San Francisco, and the greater California area. Prison Fellowship is a national, nonprofit organization founded in 1976 by the late former Nixon aide Charles Colson. Colson was incarcerated for Watergate-related charges and could not forget those he had left behind prison walls. He launched Prison Fellowship to give prisoners the opportunity to experience the radically transforming power of Christ that he had already experienced. Prison Fellowship’s mission is to seek the transformation of prisoners and their reconciliation to God, family, and community through the power and truth of Jesus Christ.